The X5 kicked-off BMWs X range of SUV vehicles when it was first launched some two decades back, in 1998. 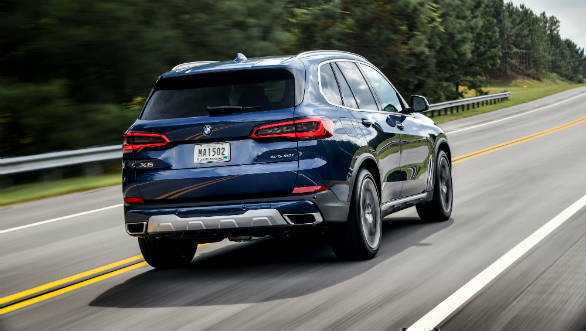 Many also credit the X5 for actually having injected sportiness into SUVs, because until its advent, nobody had ever imagined an SUV could perform and handle so sportily. Ever since, manufacturers have been pushing the performance envelope of their SUVs and many have been triumphant in achieving sports car like handling in these somewhat tall and heavy machines that are also meant to have some-off-road abilities. The BMW X5 which helped redefine the term SUV has gone on and become one of the most successful luxury SUVs of all time. Recently we sampled its all new 4th generation model in the USA and it should make it to our shores sometime around May next year. 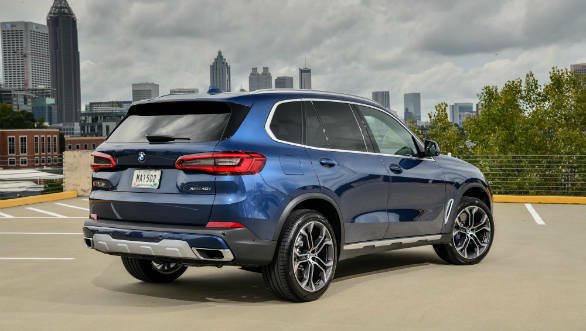 These days, an all-new generation model is generally much larger dimensionally than the outgoing one, and the new BMW X5 is no different. At 4,922 mm, its 36mm longer than its predecessor, 66mm wider (2,004mm) and 19mm taller (1,745mm). The larger size of course gives it that much more street presence and an even more imposing appearance. 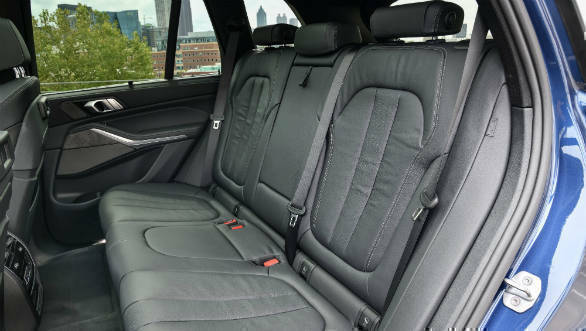 The good thing is that the larger exteriors also mean more interior space, as a result of which not only are the front and rear seats more comfortable, but even the 3rd row in the 7-seat version is actually quite usable. Getting into the back and out is also easier due to the electric forward-tilting second-row seats. The new BMW X5 has some strong lines and a more toned body. It's almost like the designers put it into a gym saying, "We are making you bigger, but you better work out and get a leaner and more muscular shape". The massive kidney grille is twice as wide as the headlights and dominates the entire front design. The side is distinguished by the 'Z' shaped strong character line that rises up to blend with the rear door handle. The split tailgate has electrically operated lower and upper sections and with the air suspension, the loading lip can be lowered, making packing simpler. 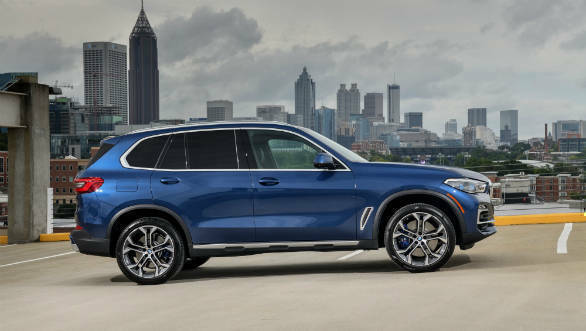 The new BMW X5 looks sizeable and strong and will be unmistakable on our roads, but quite honestly, it's the insides that many of us may find more appealing. The traditional instrument cluster consisting of a round speedometer flanked by a round rpm meter is gone. The new BMW X5 has a fully-digital instrument cluster that displays navigation information and graphics in the space between the speedo and rpm meter and even the space within these instruments is used to provide various data. To someone like me who likes simple and straightforward instruments, this is a clear case of data overload and that too in a space that I think should be free of clutter. I am also not impressed by the fact that the rpm meter needle does not have a response that is equal or linear to the pressure you apply on the accelerator pedal. Push the pedal and the needle instantly shoots up by roughly 1,500 or 2,000rpm, even before the engine itself has started to increase its revolutions! This feels so disconnected and unreal. But then, this is the digital age where graphics and simulated images rule, and in this aspect, the BMW X5 is clearly well ahead. 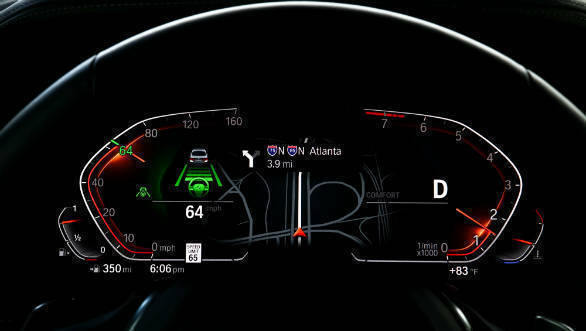 The instrument cluster and the very legible and attractive Control Display are connected visually and also share the same graphics. The raised seating position, low dash and A-pillars that are smartly contoured on the insides, provide a dominant view to the driver. As mentioned the multi-function seats are very comfortable, and also come with massage functions, etc. There are heated and cooled cup holders, a very high end audio system with some 20 speakers, an ambient air package that fills the passenger compartment with eight individually selectable scents as per your requirements, etc. 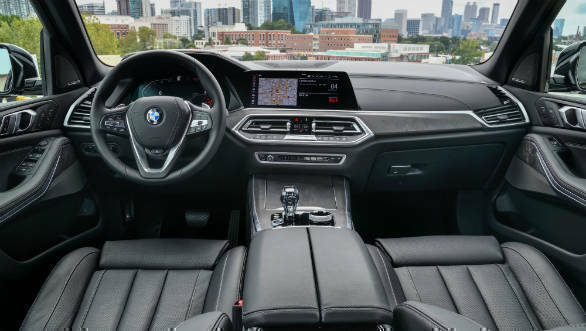 But according to me, the things that make the passenger compartment of the new BMW X5 special are  the huge panoramic sunroof with what BMW calls the 'Sky Lounge'. This actually generates an effect that looks like you have millions of stars on the glass roof. 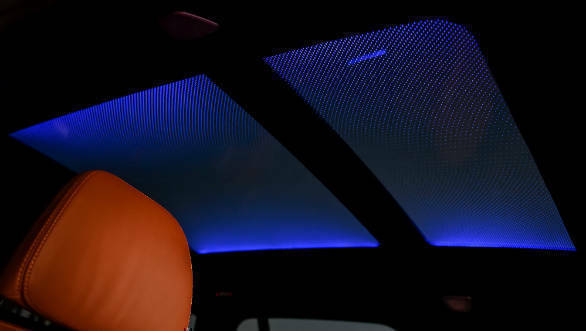 At the push of a button, LED light spreads evenly across the sunroof glass surface to illuminate more than 15,000 graphic patterns and generate a display reminiscent of a starlit sky! If that is not enough, you can choose from a selection of colour schemes and create the kind of atmospheric light show desired! Along with the 'starry starry nights' you also literally get a 'touch of glass'. Yes, glass. 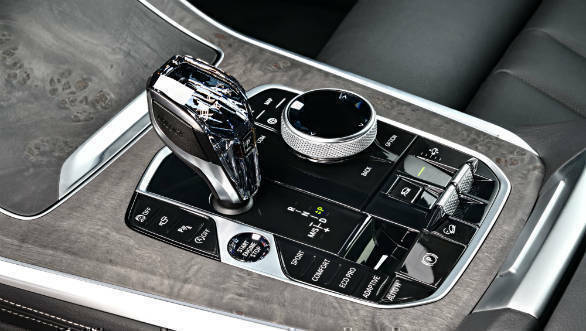 For the first time you have the gear shifter, start/stop button, controller dial and the audio volume control button, all made of high quality glass. These not only look great, but also feel super cool. The BMW X5 comes with two petrol and two diesel engines. The 30d has a 3-litre 6-cylinder diesel making 268PS and 620Nm of torque and the BMW X5 M50d 6-cylinder diesel, delivers 405PS and 760Nm, getting from 0 to 100 in 5.2 seconds! Going by past trends, the 268PS diesel engine will be the preferred choice for India. But I am confident that BMW will also offer the 50i, which come with a 4.4 litre, V8 petrol that generates 468PS and 650Nm. It gets to 100 in 4.7 seconds, but what are really charming are the silken power delivery and the super sound. This engine never feels under any sort of strain and revels in creating energy, while happily singing its unique song. All engines are mated to the fast shifting and smooth eight-speed Steptronic auto transmission that puts the power down onto the road via BMW's tried and proven X drive all-wheel drive system. Normally the power split is 50:50, but the intelligent system can quickly figure out if more needs to go to the front or back depending on the driver's inputs and motoring conditions. An electronically controlled differential lock for the rear axle ensures power is put down on the road in and even sportier manner as it optimizes the transfer of power to the road on surfaces offering differing levels of grip. As mentioned, the new BMW X5 is bigger. It's also heavy with all versions weighing well over 2 tonnes. Despite this, the new BMW X5 has sharp handling, impressive levels of grip and offers good ride comfort too. The BMW engineers have used their entire magic box of chassis set-up tricks, state of the art electronics and software and smart motors along with the various mechanical, hydraulic and pneumatic components, to come up with an amazingly impressive balance between ride and handling. The important key to this is the two-axle air-suspension system that allows for a high level of ride comfort without compromising on handling. The air suspension also allows the vehicle height to be adjusted by up to 80mm. The new off-road package comes with some serious underbody protection and four driving modes like sand, rock, gravel or snow. In rock mode the air suspension automatically raises the ride height to its maximum level. 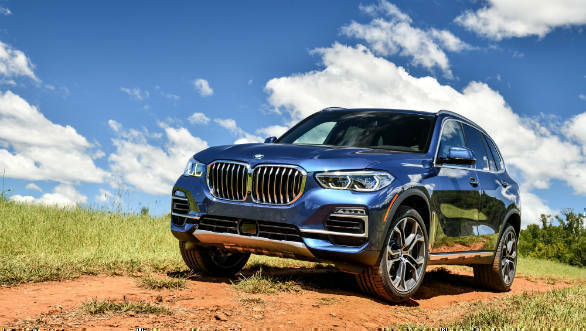 The strong impression you get while driving the new BMW X5 is how well it rides and how effectively it isolates you from most road imperfections. Though the ride is so good, body roll is effectively controlled and though you do have a sense while moving of how big and heavy the X5 actually is, it really is remarkable how the engineers have managed to keep these factors in check and even nullify them to a certain degree. The driving dynamics are actually really very good and full credit to the engineers for things like dynamic damper control, adaptive suspension, active roll stabilisation and integral active steering, etc. 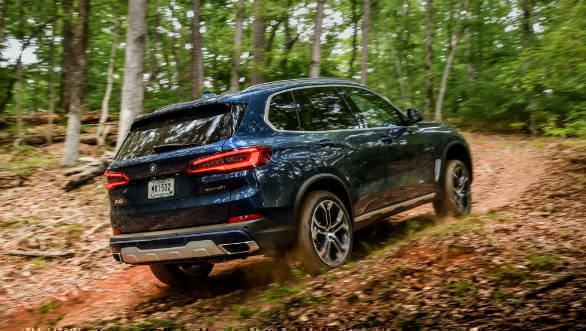 All this wizardry ensures the new BMW X5 is as comfortable on smooth, fast and twisty roads, as it is on unpaved trails. While the balance between ride and handling is surely a highlight, the equity between on the road and off-road performance, is also admirable. The BMW X5 proudly showcases many driver assistance systems. We tried out few on the organized US roads where they seem to work fairly well. But even there the transition between the autonomous and manual control is jerky and if passengers are not really aware of what is going on, they may feel the driver is drowsy or drunk, because the automatic reactions and corrections, are so sudden. 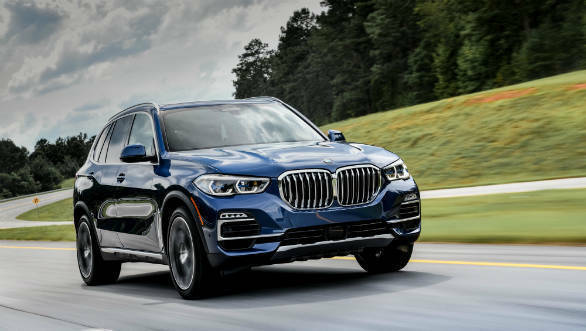 The new BMW X5 comes with things like active cruise control with stop & go function, steering and lane control assistant, lane change warning and lane departure warning, lane keeping assistant with side collision protection and evasion aid, crossing traffic warning, wrong-way warning, etc. 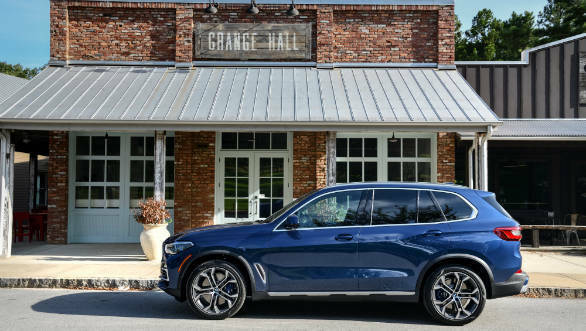 There is a new parking assistant that can brake, accelerate, steer and identify vacant spots and the new BMW X5 also has an emergency stop assistant that can bring the vehicle safely to a standstill if the driver has a medical emergency. I have my doubts about such systems being useful or effective in our country, but it remains to be seen what all BMW brings in with the new X5. The new BMW X5 is bigger and better in many ways. It continues to be a good all-rounder with the ride quality being one of its highlights along with some of the features in the interior. Expensive it will be, but has enough of a fan following for a successful launch in India.